You looking for an apartment in Cologne? Congratulations: you have found three apartments with the best locations in Cologne! All the attractions of Cologne in close proximity! Your benefits: current occupancy (Minimum 3 nights), commission-free rental (here you contact directly the owner! ), Professional handling and even handing over the keys of the apartment personally, you will receive an official invoice, flexible arrival and departure! We look forward to you! Your family Weihofen (host). Apartment Nr. 1: The apartment is equipped with private bathroom and shower / WC, a beautiful private kitchen (coffee machine, refrigerator, etc), chair, bed (140x200), (TV!) LCD flat screen TV, DVD player and Internet access via WLAN / Wifi (free) , No balcony. The apartment has Sleeps 1 to 2 persons. unfortunately not suitable for wheelchair users. See photos and more info on the amenities of this apartment (own entrance with a key) here on our website. Rental Nr. 2: The apartment is also equipped with a private bathroom and shower / WC, a beautiful fitted kitchen (Senseo, fridge etc), sofa, bed (140x200), a 32 inch flat screen TV, Internet Wi-Fi available (free). The stay has Sleeps 1-3 persons (living room in one). See photos & more info facilities (own entrance with key) here through our website. Accommodation Nr. 3: The dream accommodation is also equipped with a private bathroom and shower / WC, small kitchen (2 hotplates, refrigerator, etc), Senseo coffee machine, sofa, bed (140x200), a 32 inch TV, Wi-Fi available (free). The stay has Sleeps 1-3 people. See photos and more information for equipment of this accommodation (own entrance with key) here at this website. The prices for the assignment of the individual accommodations Cologne, visit the appropriate page of the accommodation. Simply click on the ad or the picture of your desired apartment! But we do not rent for one night. The minimum stay for the apartments is at least 3 nights. Inquiries or book? Book online can not yet ... Send us an Email. Apartments Cologne: Explore Cologne from 55 EUR per night only! Cologne center! Travelers beware! These holiday homes are situated in Cologne and in a very central (Cologne city center) position (the photos were made in front of the door of Siegburger street). Our accommodations are directly at the Deutz bridge and Severinsbrücke or directly at the Deutzer Freiheit close Koelnmesse and you can reach all the sights of Cologne in walking distance! The famous old Cologne Cathedral, railway station "Köln Messe/Deutz", the chocolate museum, the Deutsches Sport Museum, the rive Rhine and its promenade right in front of the door, the old town of Cologne, the city center, city / Neumarkt / Schildergasse / Hohe Straße (convenient and directly accessible via the Deutzer bridge). When in Cologne, the "Cologne Lights" take place, these apartments are ideally located, of course, to be at this event! A super experience at night! Of course, we say that our city Cologne the most beautiful city in North Rhine Westphalia is! But youcan discover not only the city center but also the surrounding areas. If you have arrived by car, so you can venture a trip also. Apartment Cologne also available as a fairroom! The holiday apartments can of course also be used as affordable accommodation for visiting the exhibition halls in Cologne DeutzAll holiday homes are also ideal to use as a fair accommodation in Cologne or fairrooms because of the close proximity to the exhibition halls convinced (only max. 1km). A map and surroundings Photos can be found here. So book your dream accommodation Cologne with us! A fairapartment is the alternative to a hotel in Cologne. For large events like Gamescom or the Anuga, Cologne Apartments offer their services at your disposal. If you book our vacation rentals, you always get the entire property! Not just a room. Ready to make a your booking request?! or the restaurant Oasis (greeek restaurant). Close to the holiday flats there is the "Deutzer Freiheit"
The "Deutzer Freiheit" is a nice shopping street with many shops, banks, supermarkets, etc. The apartments are very close to the former Kölnarena (Lanxess Arena). 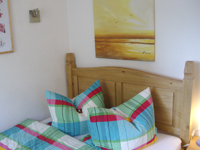 Thus our holiday lodgings are the ideal accommodation Cologne for people who would like to attend an event there. Takes place in Cologne the annual CSD, so you can reach the respective clubs and the parade on foot! Everything close to our private accommodation! Also we would like to recommend the KölnTriangle. Just off the Hohenzollern Bridge. located right bank on the roof of the second highest tower is in fact a great viewing platform! But do not worry, you have all the floors not climb on foot, but is easily reached by elevator. The entrance fee is (currently) of 3 EUR still quite cheap! "We are only satisfied when our guests are satisfied" This is our motto and as our guest books (see reviews of our guests) can see, our guests are always very satisfied with our service. Some pictures (excerpts) of our guestbooks, you will find on our homepage. The reviews on other portals confirm again! But what can we ensure definitely? The cleanliness of all apartments! These are thoroughly cleaned and of course have also always fresh, clean sheets, a clean bathroom and an adequate number of towels. The thorough cleaning of our apartments is included in the rent. That it wait no further cost to you! Top location. Book your stay with us and you do not need a car! The distance from our holiday lodgings to all major points (whether business or pleasure) is really minimal. Just look at the situation map. We are in downtown. Correct and reliable. We guarantee a punctual and correct sequence! Of course, we meet with the guests on time at the apartments to explain everything and give the keys. Large fairs, and many Cologne events such as the carnival or the ColognePride belong to the city as the billy goat to 1. FC Köln! Here is always an attraction or an event which attracts many people in the Rhine metropolis. International Fair each year attract thousands of visitors from around the world in the cathedral city. As the year draws to an end, then attracts a visit to the Cologne Christmas market! Our apartments are located close to the fair and thus, in the heart of downtown. Not so far away, such as the hip area of Ehrenfeld or Neuehrenfeld. From there, you'll have to drive by car or tram "Kölner Verkehrsbetriebe (KVB)" to arrive. Direct in or on the center of Cologne (not to be confused with the neighborhoods: Old Town North and Old Town South) bordering are many important museums and famous and popular Brasseries in which not only "Kölsch" is spoken, but also a lot of "Kölsch" is drunk. Nearby is, the Ludwig Museum with modern art and also the Roman-Germanic Museum with its famous Dionysius mosaic. Beautiful painted paintings can be found in the Wallraff Richartz Museum. Who wants to sniff at the famous "Eau de Cologne", has to visit the "Fragrance Museum Farina": there is the famous "Eau de Cologne". The Historic Town Hall from 1330 is adjacent to the Old Market on the place in December is also the Christmas market. In February, the pubs of old town cologne are dedicated to the carnival. And now we arrive at the promenade of the Rhine. On the waterfront, we find the pleasure boats of the Cologne-Düsseldorf and can make a trip up to Königswinter! In warm weather, it is a great day trip. Cologne Apartment: on the "Schälsick"
Fair guests are in good hands here, because we are with our apartments very close to the fair. You walk to the Gamescom (there can be in a hotel quite expensive one night) or at Anuga and save as an unnecessarily long and expensive daily arrival! On the side of the Rhine to the Claudius Therme is (perfect after a long day of relax again and to recover), the Cologne "Seilbahn" (runs across the Rhine towards Cologne Zoo) Köln Arcaden (one of the largest shopping malls of germany) , the airport "Cologne/Bonn" is nearby also can be reached easily and quickly (only 15 minutes) from Deutz station by train! Take regional trains and suburban trains direct to the airport. Holiday rental cologne: Cologne offers a lot! No matter how you want to use our accommodations, whether as: Room Cologne or Holiday rental Cologne ... We look forward to your inquiry! We do not rent cottages! A big vacation home you will probably also not find so often found in Cologne, as you will find in the city center or in the city next to the cathedral no cottages. Book with us and save a lot of money. This you can spend in the city rather then. Tourist info: Cologne Muelheim, Cologne Ehrenfeld, Cologne Nippes, Neustadt Süd, Lindenthal, Bergisch Gladbach or Rösrath are far away from the exhibition halls! Definitely not in the center! We would like to welcome you as our guests! Rent your bedroom in the Rhine metropolis with us! The most beautiful city of Germany! In Köln Nordrhein Westfalen. We look forward to receiving your inquiries. Welcome to cologne! 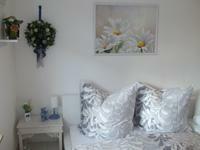 We do not have a Holiday Apartment 30 m², 50 m², 65 m² or 70 m² and can accommodate therefore not 10 people or 11 people. Unfortunately, animals (dogs and pets of any kind) not allowed here! Smoking allowed? Smoking is also not allowed in all units. Please also note that we are no hotel! We not 24 hours a day. The night with us from 55 EUR! An online reservation, we can not offer you unfortunately. We also do not have last minute deals. Thank you for your understanding.